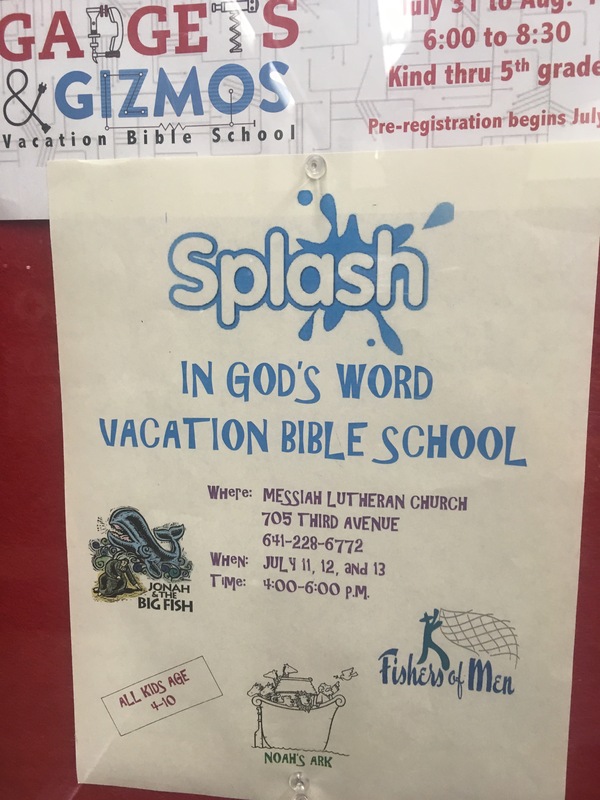 CHARLES CITY — Messiah Lutheran Church is hosting Splash in God’s Word vacation Bible school from 4-6 p.m. Tuesday, July 11, through Thursday, July 13. It’s for children between the ages of 4-10. The church is at 705 Third Ave., Charles City. Call 641-228-6772 for more information. This entry was posted in Bulletin boards, Charles City. Bookmark the permalink.